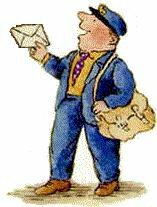 Janet and Allan Ahlberg's popular story of The Jolly Postman is brought to life in these imaginative learning resources for early years, Key Stage 1 and Key Stage 2, created with The Postal Museum. The Jolly Postman learning resource provides activities to bring literacy learning to life in the classroom, making links between the fictional narrative of The Jolly Postman and the real history of the postal service. Every activity is clearly linked to the national curriculum for the Early Years Foundation Stage (EYFS) and for Key Stage 1 and 2, supporting learning across the curriculum. The literacy activities develop confidence with reading and writing, introduce new vocabulary, storytelling, role play and drama, and can be differentiated for key stages and learning styles. "The resource is widely-referenced and well-thought out. I was impressed with how engaged the children were by the history of the post. They were very inspired to write their own letters."